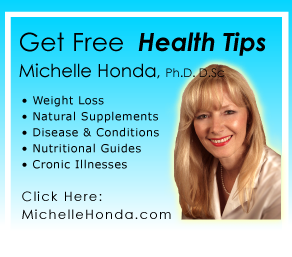 Michelle Honda PhD Holistic Doctor offers a brief explanation as to why and how certain feelings come about in people who find it hard to manage on a day to day basis – along with an example of how she treats the condition of mood disorders. Mood disorders for all ages are bordering on epidemic proportions throughout the world. Our modern lifestyle has changed our inherent balance primarily through technology. We no longer rest when the sun goes down or eat food that is whole and void of chemicals. Everywhere we look today, people are living at a high speed pace with little thought of their internal environment until they crash. Most people run to their doctor demanding a quick fix. Drugs are no panacea. Almost a third of patients do not respond to antidepressants and the ones that do, find the drugs less effective over time coupled by unpleasant side effects. A collective accumulation of internal and external developments leads to a depressed state. It makes more sense to find natural, non drug ways to correct the imbalance of neurotransmitters like serotonin and other key elements involved with depression. Symptoms of depression on up to feelings of suicide are usually brought on by reduced levels of neurotransmitters such as serotonin, norepinephrine and dopamine. Serotonin is a key buffer against depression. Similar to a speech defect that hinders communication, interferences with neurotransmitter activity may short circuit the brain’s internal communication. Neurotransmitters regulate many of the body’s activities such as anger, joy, sleep, hunger, mobility and memory. Depression may also be symptomatic of other medical conditions, such as hypothyroidism, anemia or diabetes. The thyroid is an emotional gland which forms a triad with the adrenals and pancreas, always interrelating—all having an effect on our mental state. Rethink Your Diet; Like most things it appears to be all about balance. Our ancestor’s diet consisted of mostly green plants and small animals which were low in fat but high in cholesterol. As it turns out we find that low cholesterol levels do interfere with the regulation of serotonin. Since high levels would not be recommended either, the suggestion would be to monitor both levels. Therefore a question about carbohydrates springs to mind. Carbohydrates do improve serotonin temporarily but over the long run, a high carb diet leaves you feeling low and sluggish. The diminishing sense of well being partly stems from the elevated insulin levels which in turn boost the production of certain prostaglandins linked to depression. In addition to nutrition and lifestyle, Michelle employs natural supplements to correct the sluggishness of the glands involved with moods swings and the feelings of sadness. The endocrine system as a whole needs to be addressed to not only treat the symptoms but to address the lack of energy which normally accompanies this condition. People are often running on adrenaline and at their wits end. Again as with other programs, the cause and depletion which initiates these symptoms must be incorporated. Michelle uses natural plant extracts that are non addictive when calming or when insomnia is a problem. Specific nutrients and plant constituents are used to boost the hormones that cause us to feel joy while quieting the ones that give us anxiety and eating binges. Counselling is always part of the program. A surprising study presented by the Society of Behavioural Medicine, conducted at the Duke of Medical Centre showed that even short workouts as brief as eight minutes were enough to enhance mood by reducing feelings of sadness, tension, fatigue, anger and confusion. Exercise is a natural serotonin booster, not to be linked with only joyful moods but also with better overall health. Depression is looked upon as one of the worse illnesses of our modern day society. To take claim of your mental health, as your first line of defence, consider lifestyle factors while incorporating a dietary and supplemental regime to reduce the inevitable emotions and health challenges associated with depression. To get effective help and finally start turning your Anxiety/Depression around, Call today to book an appointment or e-mail us.